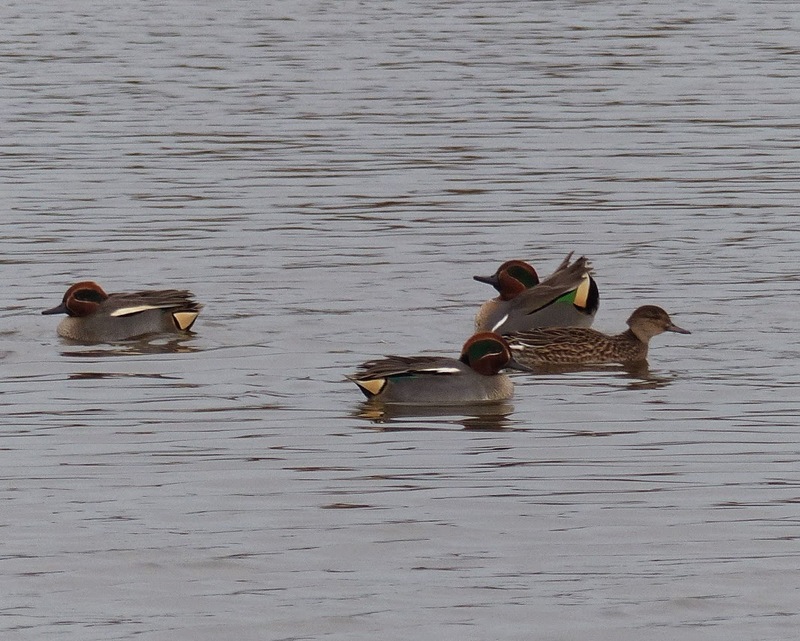 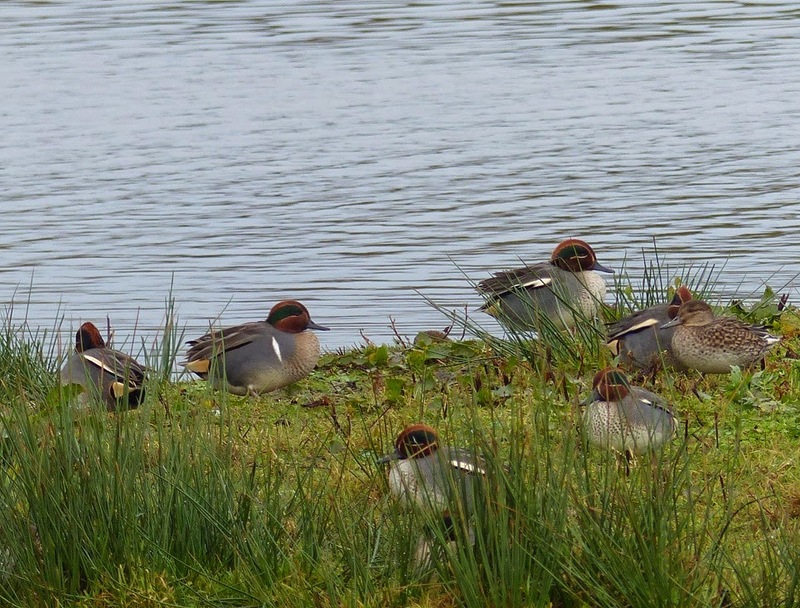 Green-winged teal with Eurasian teal. 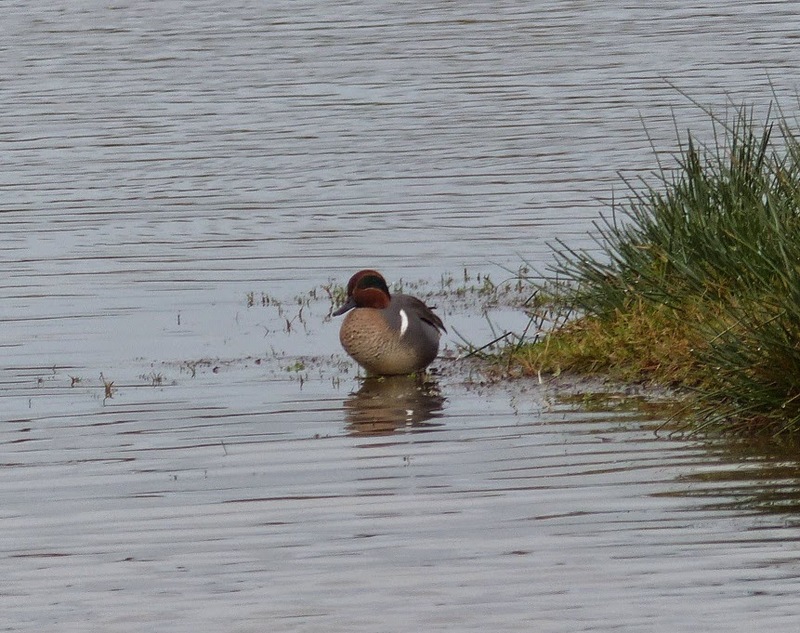 Green winged teal displaying to a female Eurasian teal. 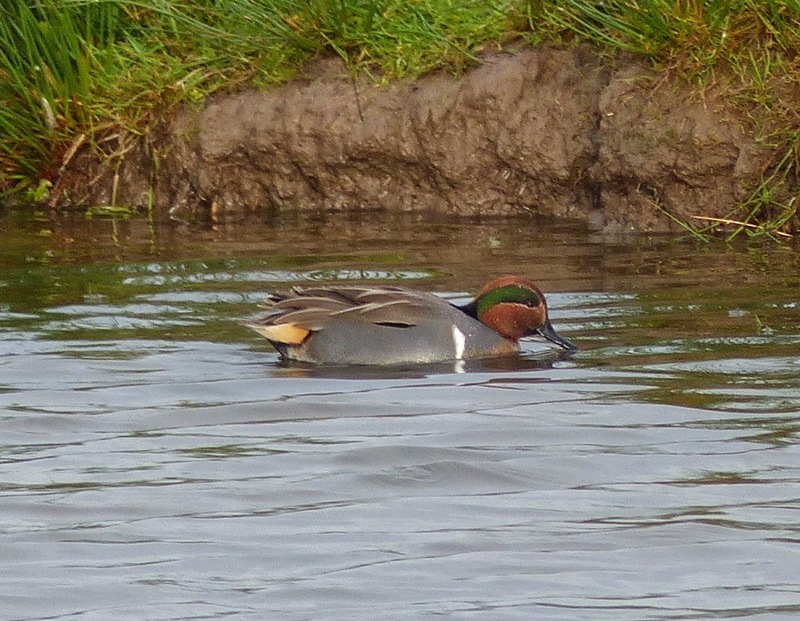 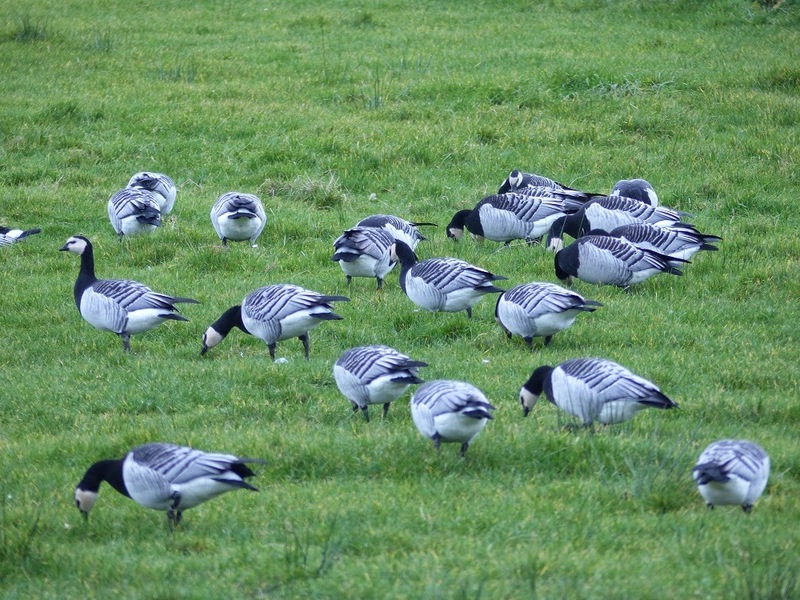 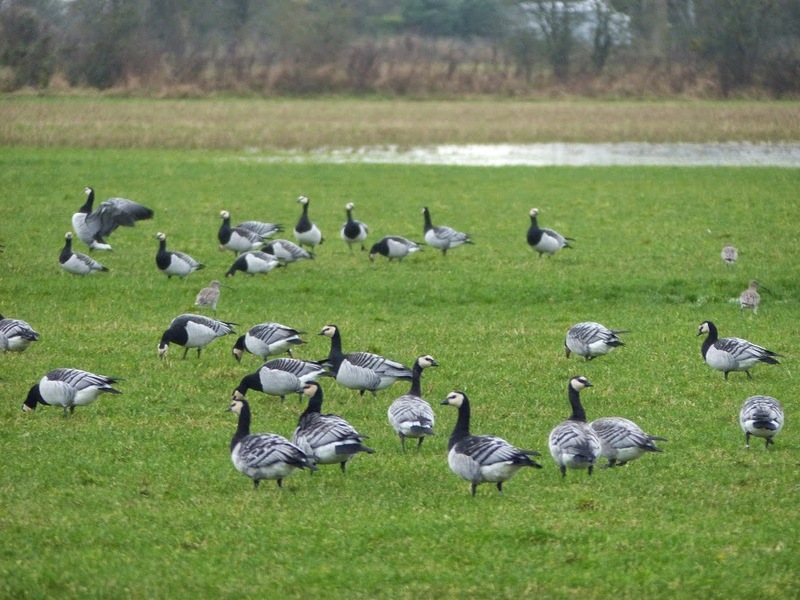 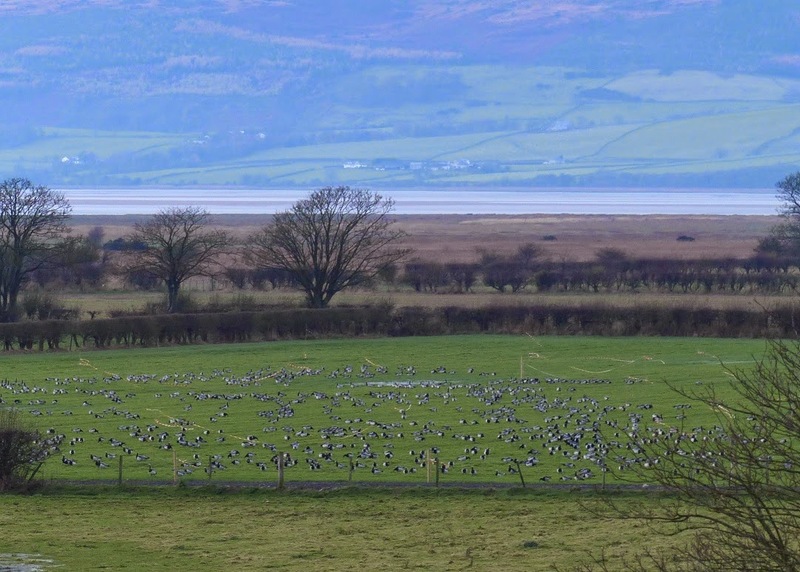 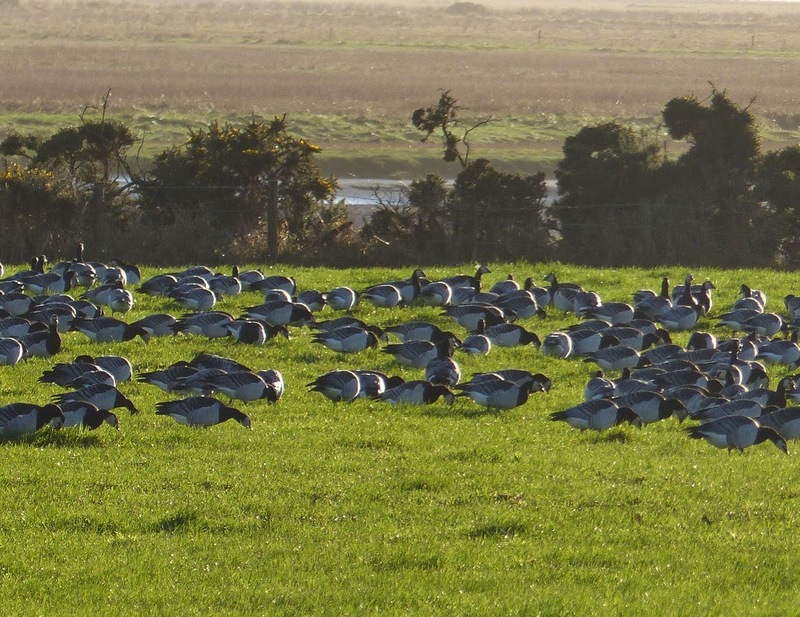 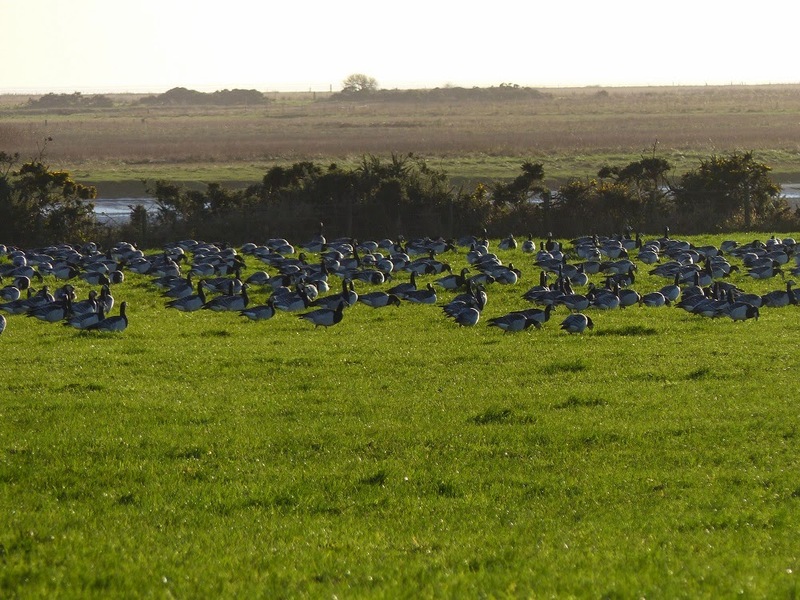 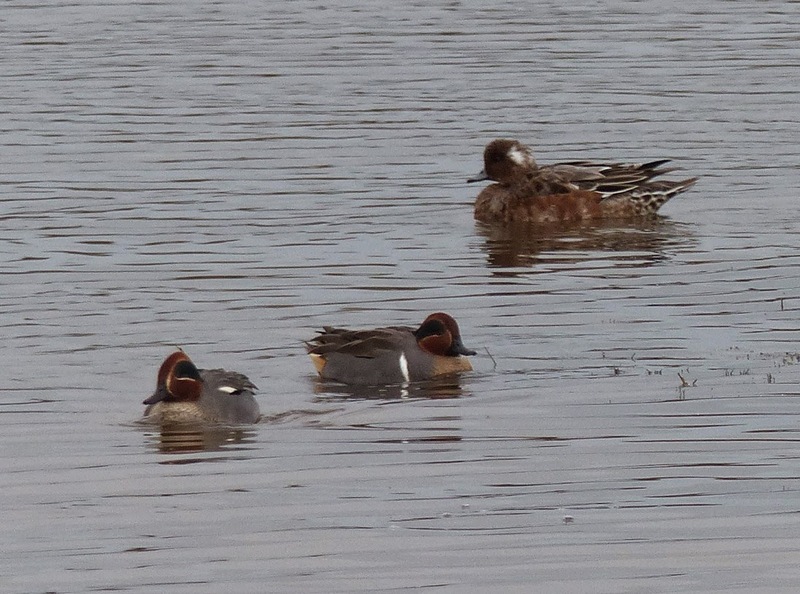 Notice the wigeon with the patch of white on it's head. 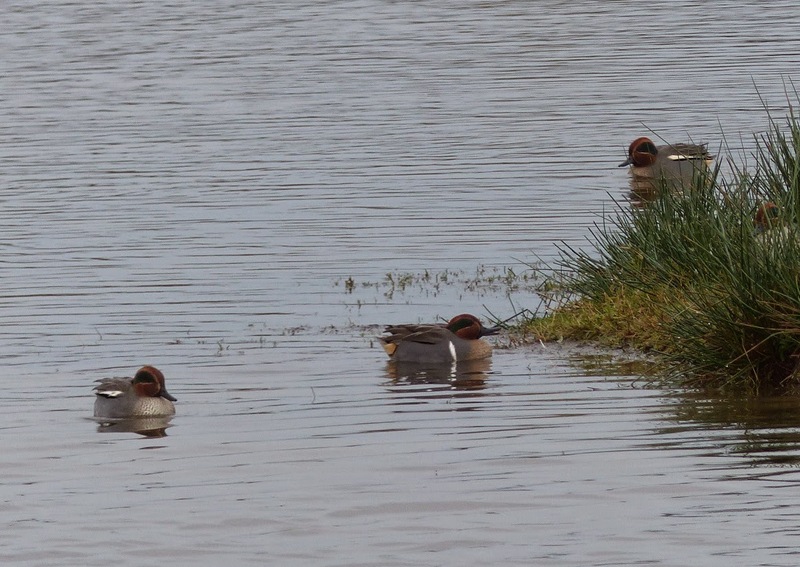 Behind the teal.